Hack Library School writers at ALA Annual 2014 (from left to right): Anna-Sophia Zingarelli-Sweet, Lesley Looper, Courtney Baron, and Casey McCoy. I represented Valdosta State University in the Student-to-Staff program at ALA Annual this year. Student-to-Staff covers ALA registration and hotel for the duration of the conference in exchange for sixteen hours of work. Student-to-Staffers are assigned a work assignment and I received Networking Uncommons. The Uncommons area performs a dual role for the conference as both a space to relax and a space to connect and present. ALA attendees are welcome to sit down and catch a break from the craziness of the conference, recharge electronics using the available power strips, or use the conference wi-fi. However, the Uncommons also has its own programming, technology available for check-out, and offers groups the ability to hold impromptu meetings or individuals to advertise spur-of-the-moment events on Twitter. The ability to present or hold discussions in a no-pressure atmosphere is especially fantastic for first-time conference attendees. I worked independently as a reference librarian of sorts for the space, answering questions, directing guests, and the like. I quickly realized, however, that I could perform a more active role so I began tweeting snippets from the #UnWall and words of wisdom scribbled in response to the “The library of the future is” prompt. I hosted a Cards Against Librarianship game during our final hour in Networking Uncommons. Although the conference was nearly over, we still had a terrific turnout and it was a great chance to unconventionally network with other librarians. The Cards Against Librarianship deck, created by Emily Lloyd, is available for download on her blog. It was my first time attending ALA Annual, and I’ll admit it: I wasn’t able to go to every session or conference event that caught my eye due to my work commitments. I realized that was just fine, however, since ALA is about so much more than attending session after session. Student-to-Staff allowed me to experience other, equally important parts of the conference. Since Networking Uncommons was a common space, I enjoyed the chance to observe and interact with a variety of people, especially those I wouldn’t normally react with during a conference. I am a visual resources curator and I work in academia. My interests include art and visual resources librarianship, digital humanities, and scholarly communication. So, it’s unlikely that I would ever attend Guerrilla Storytime, a children’s librarian movement dedicated to sharing story time ideas. However, they had two very successful sessions at ALA in Networking Uncommons and both events took place during my shifts. I was so impressed by their enthusiasm and energy and I really valued the opportunity to experience a different side of librarianship. I left ALA with a new sense of camaraderie and zest for our profession. Special thanks to Don Wood, the coordinator of the Student-to-Staff program at ALA, and Dr. Anita Ondrusek, my professor at Valdosta State University who nominated me for the program. 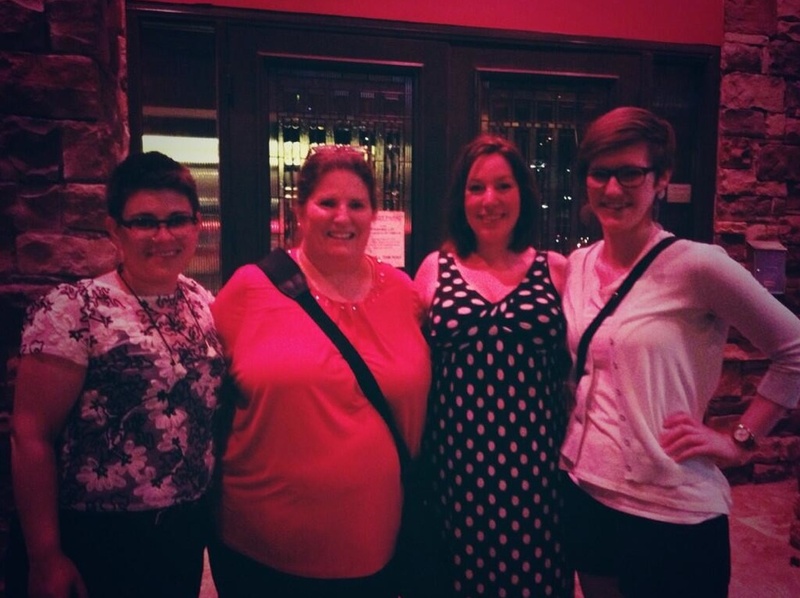 I wouldn’t have been able to attend ALA and have this wonderful experience without you! While there have been posts floating around sharing strong opinions about Annual being hosted in Vegas (found here AND over here), I had a pretty positive and life changing experience. Yes it was hot, crowded and expensive — making programs spread across the strip hard to manage — but a week in Vegas has solidified some great friendships and networks I would not have made anywhere else. First and foremost, working with YALSA was everything I hoped for when it came to the energetic staff and committee members in a laid-back atmosphere filled with some of my favorite young adult authors (including Marcus Sedgwick’s British accent). On top of working YALSA’s ticketed events, I also attended a handful of programs like the Sustainability Round Table’s first program and listened to Lois Lowry and Jeff Bridges debate the differences between reading a book and watching a film (side note: I agree with Jeff on this one). Although, the most beneficial program of the weekend had to be the PLIG meeting and breakfast where I was able to hear from programming colleagues from around the country, which made me feel slightly less anxious about beginning my job as my library’s program coordinator. Outside of the programs, my favorite part of my S2S experience was definitely meeting other students, librarians and ALA staff members who share similar (and dissimilar) viewpoints within Libraryland. While I was not able to meet everyone in the S2S program due to our tight schedules, the few I met in person were all wonderful and I am hoping the rest stay in touch virtually until we can meet again. As I said before, the YALSA staff was a pleasure to work with and did a great job at convincing me to be a part of the organization’s mission to serve and represent young adults — and possibly even to attend the YALSA Symposium this fall. Upon coming home from Vegas I was exhausted, caught a terrible cold and was so thankful for the 70-degree rainy weather — yet I am still amazed at the opportunity I had thanks to the Student-to-Staff program (and my school’s student chapter that got me there). If there was one main takeaway from this experience I had to share it is this: get involved with student organizations, buy those discounted student memberships and plan to build professional development into your curriculum. My (small) participation in ALA and local organizations while in school has led me to some great professional resources and networks in less than a year that are already proving useful in my full-time public library position. Even though my time at HLS is winding down I would love to answer any questions or further chat about my time with S2S, YALSA, ALA, etc., so tweet at me: @CayMcCoy.